Earlier this month we took a look at Elemental Rage [$4.99] from Oniric Games, a new metroidvania-style platforming game for iOS. 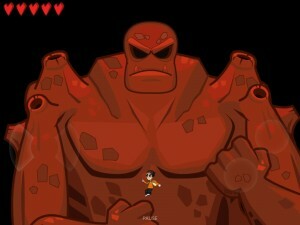 Last week, the iPad version Elemental Rage HD [$6.99] was released in the App Store, and yesterday its small screen counterpart became available as well. As far as metroidvania games go, Elemental Rage is just about everything I could ask for. It might not be as complex or expansive as previous entries in this particular genre, but it has sharp graphics, tight controls, wonderfully designed levels, and is a great fit for a mobile game. 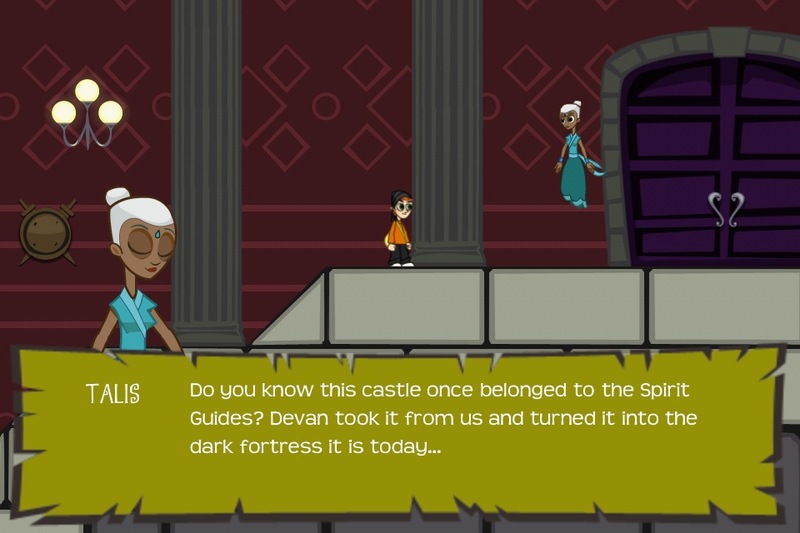 Elemental Rage starts out with you playing the young boy Huna who suddenly awakens to find himself on the floor of a strange castle. You quickly learn that an evil sorcerer has sucked the elemental spirits from your planet’s inhabitants, turning them into evil creatures. The last of the planet’s 4 Spirt Guides Talis, the Spirit Guide of Water, has summoned you as the last hope to save the planet. You must battle the many dark creatures and collect the missing elemental spirits spread throughout the castle to once again restore peace to the planet. The castle itself contains several large chambers and 4 towers for each of the elements – Fire, Water, Earth and Air. Each section of the castle is fairly expansive and the elemental towers consist of multiple areas as well. Collecting enough elemental spirits will unlock additional abilities for Huna, and some parts of the castle are inaccessible until you have a certain ability or item. For example, there are special walls that block certain paths that can only be broken with a fire shot that is gained from collecting enough fire spirits. The way this is implemented and the designs of the levels are very well done, encouraging exploration and a good amount of backtracking once you gain new abilities. The virtual controls in Elemental Rage are also very good. Huna’s jumping looks kind of floaty in the video, but that is just because you’re able to jump really high and you can control the height of your jump depending on how long you hold down the jump button. Overall the controls and the feel of moving around in the game is excellent. Combat is heavily melee-focused, as your main weapon is your staff. 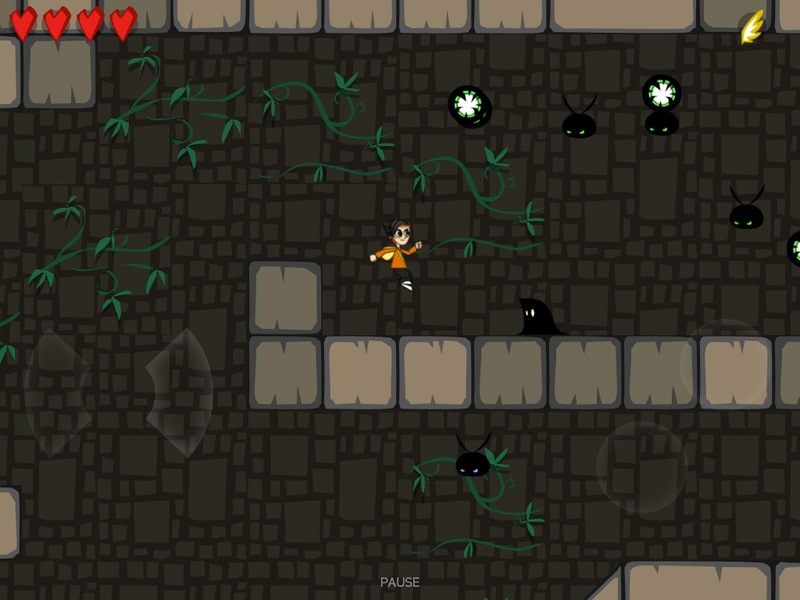 This gives fighting enemies a very old-school Castlevania feel. Enemies will drop powerups randomly that can enhance your staff’s abilities, eventually allowing you to fire a wave of energy which can be extremely helpful too. Elemental Rage is one of those games where screenshots and video don’t do it justice. It looks great in person, and the excellent animations make it feel like you’re playing a cartoon at times. In fact, much of the visuals and sounds in the game, and even elements of the gameplay, give off a 2D Legend of Zelda: The Wind Waker vibe. The story in the game is also well done, and despite the overly cliché “you’re the last hope for survival” way it starts out, there’s several twists and turns and interesting lore to go along with the world created in the game. My only real gripe with Elemental Rage is that I wish there was more of it. It will only take around 4 hours to play through, but without spoiling the story too much, you’ll definitely have reason to play through the game again when you’re done. Still, it all seems to be over too quickly, and the game is so much fun that you wish it would just keep on going. Also, despite the exploration aspect, the game holds your hand quite a bit throughout. It’s unlikely that you’ll ever find yourself lost or not knowing what to do next, which is good, but at the same time it would also be nice if they left a bit more of the thinking up to the player rather than spelling things out so blatantly. Despite any criticisms though, Elemental Rage is one of the best experiences you can have if you enjoy a good action-platforming game. The iPad version looks great on the larger screen, but it feels a bit more natural to play on the easier to handle iPhone or iPod touch. The games are identical content-wise, so it’s really just a matter of choice on which device you prefer to play it on. Players in our forums have been really enjoying this one, and if you’re looking for a new adventure to have then Elemental Rage is one to check out.